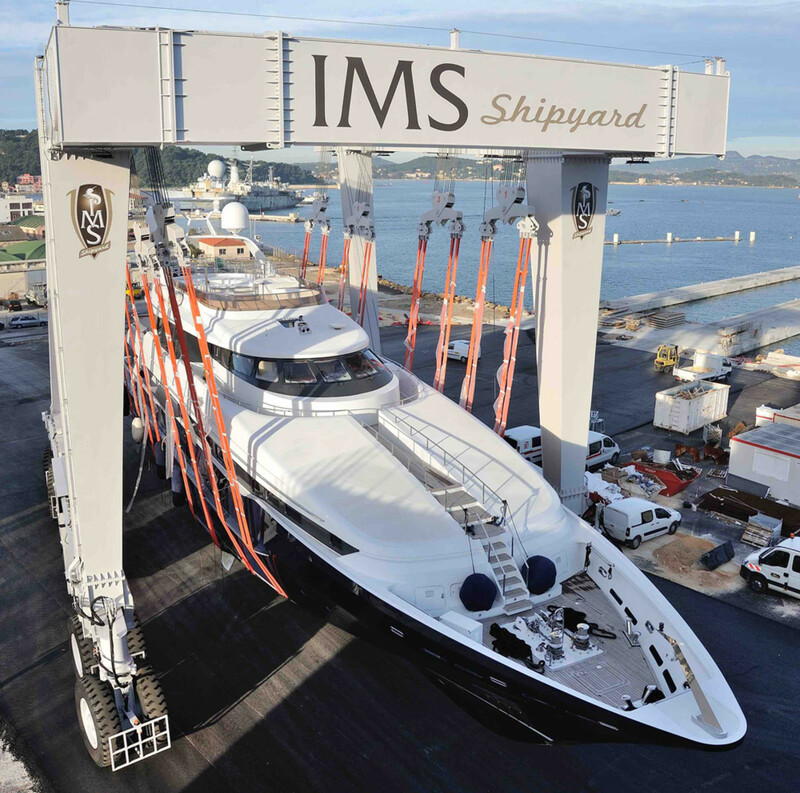 IMS Shipyard said the first yacht was successfully hauled out of the water on Dec. 10, five days ahead of schedule, at the new IMS 700 site on Toulon Bay in the south of France. The yard, which is intended to be used for yacht refits, repairs and maintenance, is designed to house boats from 20 to 80 meters, Together, the IMS 300 and IMS 700 yards will be able to accommodate as many as 100 yachts simultaneously, IMS said. “Eighty people working full time on the site, i.e., 20,000 working hours until the completion of the shipyard and we are doubling our in-house staff. This is a rare and extremely stimulating development project for all of us. We are proud to have successfully completed the first stage of the challenge,” IMS Shipyard president Denis Pellegrino said in a statement. More haulouts were to take place this week — as many as 12 yachts — in a partial opening of the site to satisfy demand while IMS finishes the last phase of the project, Pellegrino said. The shipyard is expected to be fully completed by the end of March.